The story behind Jackson Wayne speaks to reigniting American manufacturing, and speaks to what the American dream means. Like many industries that used to produce high quality products, well-made leather goods seem like a thing of the past. Andrew Lynch, the founder of Jackson Wayne, knew it didn't have to be that way. His passion, persistence, and ingenuity represent the bedrock of the brand. Andrew taught himself all there was to know about manufacturing worked with leather factories deliver a superior product. He started hanging out in factories and asking lots of questions, learning everything he could about making quality leather products. He worked closely with all the key players involved in what it took to make leather goods from designers to leather tanneries and craftsmen and manufacturers. He experimented with different leather and materials, until he came up with the high quality leather bag, that would last a lifetime. 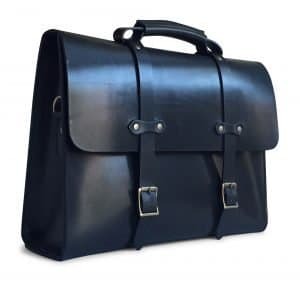 Jackson Wayne offers classically designed American made leather briefcases make the perfect luxury gift for the professional, sophisticated man. Inspired by leather bags from the 1920's to 1940's, we make bags the old fashioned way with full grain harness leather and antique brass hardware. Designed to carry today's technology. Built in America to last a lifetime. Lucky for you, we've teamed up with the brand to offer you this awesome giveaway, just in time for Father's Day. 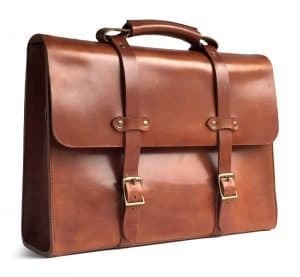 Enter now to win a leather briefcase from Jackson Wayne in a color of your choice (black, saddle tan, or vintage brown). To enter this giveaway, you must subscribe to the Jackson Wayne email newsletter. 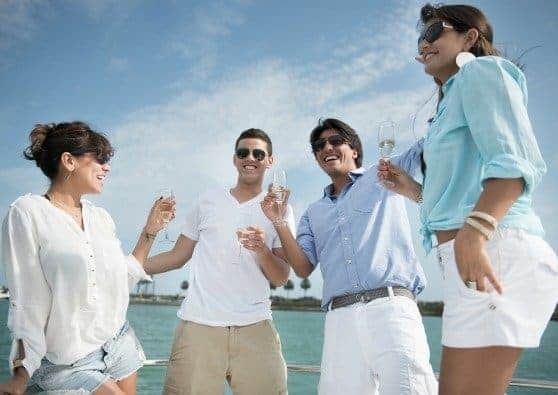 Once you've done that, there are a variety of additional ways to enter this giveaway and earn more entries, which means you're more likely to win. Come back every day to enter to win this briefcase. Good luck! Click the arrow buttons below for further instructions on each entry. This giveaway will close at midnight on May 26, 2016. The winner will be randomly selected, verified for correct entry participation, and notified by email. The bag is just beautiful! What else would an architect carry?! I think my favorite is the messenger bag. A bit smaller/lighter weight. The saddle tan is a beautiful finish. 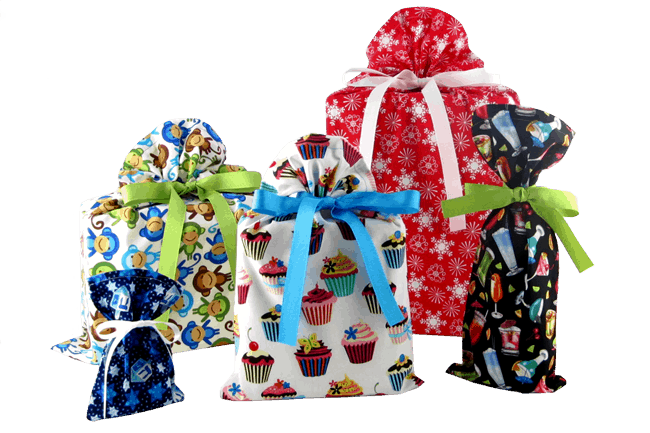 These bags are the perfect business bags! I could gift the bag to my dad for Father’s Day! My favorite prouduct is definitely the briefcase in saddle tan. The color is so lovely and looks amazing. Also the quality looks really really good and the color is outstanding. I always try to buy made in America products because it feels great supporting all of the hard working people who are earning a living wage. It makes you feel incredible when you support people who make goods and products in the USA. These are gorgeous bags – and Father’s Day is coming!! I had never heard of Jackson Wayne before – I love that they use full grain leather! My favorite is the Messenger Bag…gorgeous and practical! I like to support the American economy…so many products are made out of the country, which provides little economic benefit here. My boyfriend has been looking for the perfect work bag and his birthday is coming up. This would be a great surprise! Love the saddle tan bag. Looks great for work and travel. Love to buy local whenever I can. It is great to see small business owners succeed! I would like to win because this would be a wonderful gift for my son. Their leather products are beautiful. They are clearly heirloom quality products. I LIKE THE QUALITY BAGS. I WOULD LIKE TO BUY THE LEATHER OFFCUTS FROM THE LEATHER BAG MAKING FACTORY. I like to buy American-made by hard working American citizens. Most components are locally produced and help support our economy. Generations of craftsmen pass on traditions to their children and locals gain a reputation for quality. I am new to the Jackson Wayne brand, but really am impressed with their leather goods I’ve seen on this site. I love this men’s satchel. It would be perfect for my son who’s entering high school. The credit card holder would be a great gift for my husband for Father’s Day. I also really like the look of the messenger bag. I would like to win because I love the look of this bag. The products have such a rugged and quality leather look to them. I buy American because I like to keep my dollars here at home. I would love to win to surprise my husband with a new gorgeous bag! My favorite is the vintage color. I love these bags! The Bintage Brown is my favorite! I have always been an advocate of Buy American, as my dad was a steel worker most of his life and taught us the importance of buying American. What a beautifully crafted piece. Man, I’d feel like a Wolf of Wall Street with this! Jackson Wayne products are clearly crafted to be of high quality and long durability. 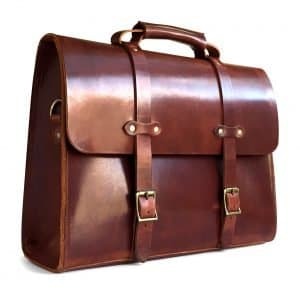 I’m especially keen on the Vintage Leather Briefcase; how awesome would it be to one day pass this onto my son. I would like to win because it’s a beautiful bag that I would love to own. I buy American because it feels good to support American workers. I buy American as often as I can to support our economy and workers. I would like to win because I think the bag is beautiful and would love to own it. I really like the card holder and the Messenger bag. Their products are very simple and classic. I would love to win because the brief case is very nice looking and made in the USA. I love Jackson Wayne Vintage Leather Goods because they are made in the US and seem to be of very high quality. 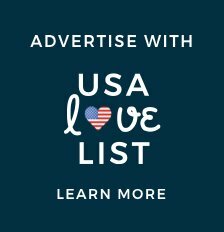 I try to buy goods made in the USA to support American jobs. I want to win because the briefcase is so gorgeous and it would look great on my boyfriend. The Jackson Wayne Vintage Leather Company does beautiful work and on top of that are made in the USA. I try to buy American to support jobs in our country. I want to win because I really like this briefcase and would enjoy using it. My favorite Jackson Wayne product is the Messenger bag. I try to buy American whenever I can, to support American workers. I love handcrafted items, and everything Jackson Wayne makes are beautiful works of art! I would love to win this for my husband. He has a new job and this would be such a treat for him! This would be the perfect bag for my son, for Christmas. I buy American to support the US economy. The Messenger bag on their site is my favorite. I buy American when I can because it’s important to me to support American workers. I would like to win because it’s a bag that will last a lifetime. I love this style! It is beautiful. My boyfriend just started working in the office again, after almost 5 years working from home. I’d love to give this to him as a gift since we’re both really big on only buys items made in countries with good labor standards. I love the duffel bag. We only buy items made in countries with fair labor practices. We also try to only shop in smaller stores. 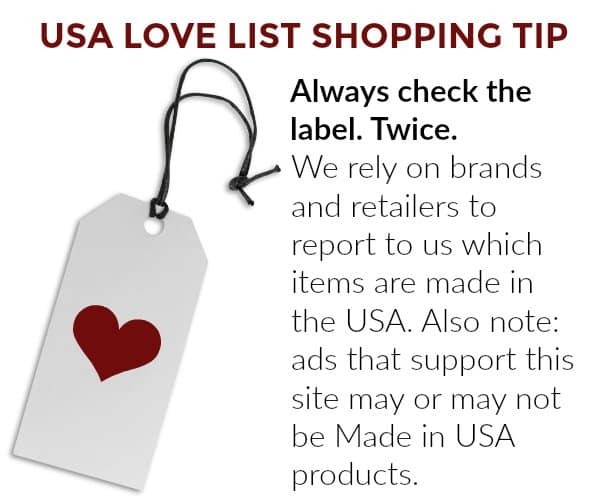 Buying USA made products meets both of these requirements and bonus, it helps our economy. I wan to win because I love the look and quality of the bag. Buying American is important because it supports American workers. Jackson Wayne’s Messenger bag is my favorite. I’d want to win because that case is beautiful. I love the feel of quality leather. My favorite is the leather journal in black. I like that it’s a nice size so that I could but it in my handbag. I would use it for taking notes and jotting down things that I need to do. 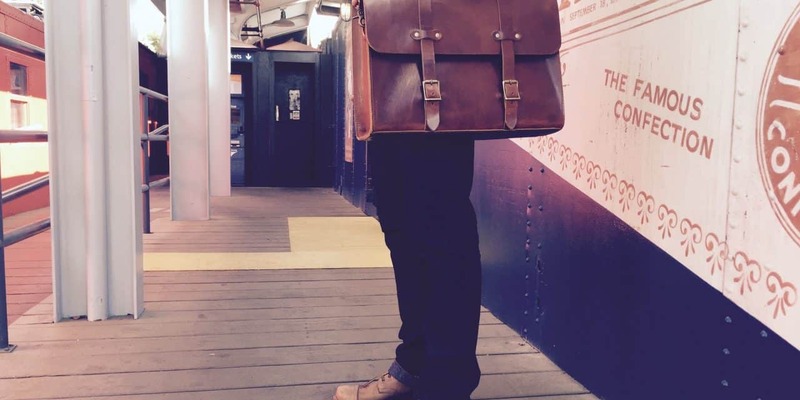 This gorgeous briefcase would be a perfect Christmas gift, if I win! I like the simple design of the Jackson Wayne products, especially the messenger bag. I like to buy American to keep my dollars at home. I’m doing a project for my final semester of school on whether the American Dream is dead or not. If we buy American-made, I learned we can help heal the American Dream! How cool is that? 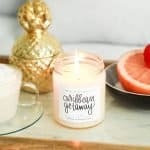 I would love this for a Father’s Day gift for the hubs! These are so gorgeous…although I wasn’t aware of Jackson Wayne, they are surely on my radar now! I try to buy American to keep the economy moving forward. I’d love to win this because it is obviously a really well made briefcase. I love the classic look, too. I also love their vintage duffel bag. It has that look that they had back in the WWII era! Love that! I try to buy American when possible because I know there are certain standards that will be met with the product & the working conditions, too. I love that it is made in America – and it is breathtakingly gorgeous. Who wouldn’t want to carry this briefcase? I buy American for quality workmanship. The Jackson Wayne messenger is my favorite, although this briefcase is right next to it. I really like the card holder…..it is my favorite because, quite honestly, It falls within my budget, and I can at least enjoy a little something, even if I’m not the lucky winner of the briefcase! I try to buy American whenever I can, because I know that American jobs need to be protected. I can also be sure that safety standards were followed – NOT the case in some other countries. I want this for my son who will start teaching next year. I like the saddle tan briefcase for my son. I like to buy American because the products are better quality and it helps our economy. I’m crazy over the briefcase in saddle tan, but they all three are gorgeous. I love the style. I would love to win this for my husband. This is a style he would like and one he would use. So many are so ‘girly’ and this is rugged and mannish! I would want to win because this is well made and would last a lifetime. I like things that are well constructed. One of their other products that would be quite useful is their leather cream. We have leather and know it is important to take care of it and it will last a very very long time. We buy American because it keeps our economy growing and strong. It also helps others achieve their dreams by owning and running quality businesses. I support buying American made products to keep the economy strong. I would love to win this to give to a friend. Beautiful products made in America. What could be better? My husband would look so stylish with this briefcase. 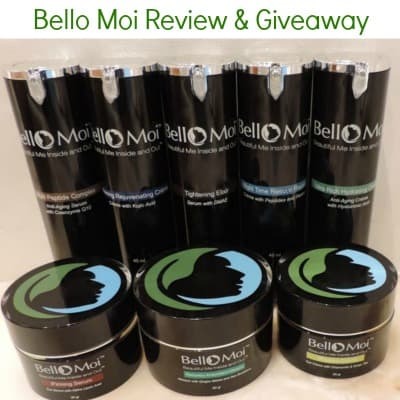 I would love to win this as a great Father’s Day gift! My favorite product is the messenger bag in vintage brown, but I also like the detail piece of the card holder. I buy American because I have a responsibility to help my neighbor. We should all try to help each other out! 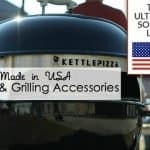 American made items are of top notch quality and I’m PROUD to purchase them!!! I always try to buy American made because it helps business have a strong economy. 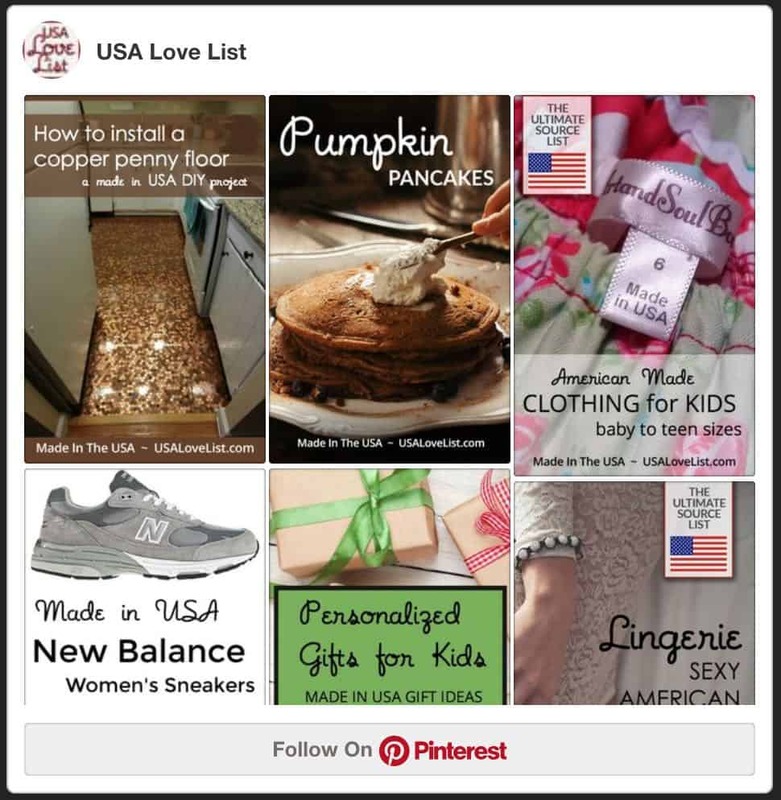 Buying American made is all about supporting the home team. I like keeping my dollars in the US. My favorite product from the Jackson Wayne line is the messenger bag. I want to win because I love the style and design of the bag and know it would last me for decades. I always support buying American whenever I shop. I always look at where my food and clothes come from. We owe it to our country! My favorite product from Jackson Wayne is the Duffle Bag in Vintage Brown. It is beautifully made. I would love to win this prize to give to my son who is going to graduate school. I would love to win this gorgeous USA made bag for my hubby! This would be great for him to use for work! 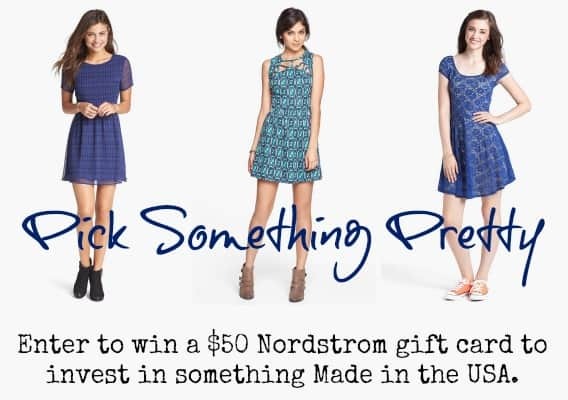 I would love to win so hubby can be stylish and professional looking! Jackson Wayne leather goods as of such nice quality. I really like their leather messenger bag. Nice and stylish and lasts forever. 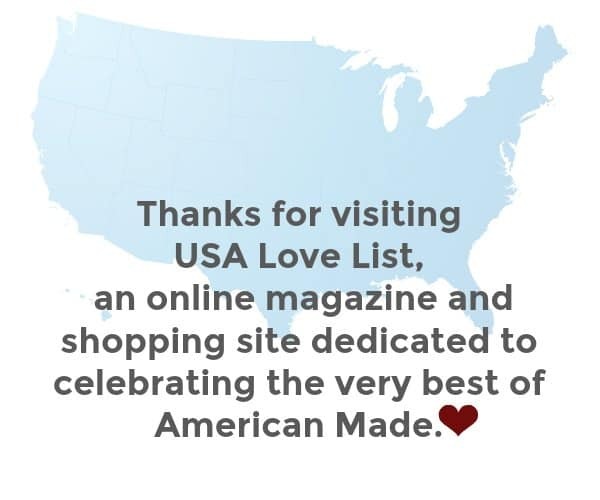 I buy American made because with so many local businesses, it is important to remember that the quality is better and they stand behind their products. I would want to win because this would last my hsband a lifetime. It is well made and the style is fantastic. I love thier duffle bag. It looks nice and looks manish too. My husband would certainly carry something like that and be proud to own it. We buy American because frankly it is the right thing to do.You know there is a person standing behind a product and one they truly believe in. It keeps our country strong. I’d like to win because it would make a beautiful gift. I buy American out of pure patriotism. The messenger bag is my favorite product in the Jackson Wayne line. Thanks for the opportunity to win this bag, I really love the items this company offers. You can tell they put their heart and soul into each and every bag. Every success to them!